We’d love your help. Let us know what’s wrong with this preview of The Bedford Handbook [with 12 Plays & Shakespeare's Merchant of Venice] by Diana Hacker. 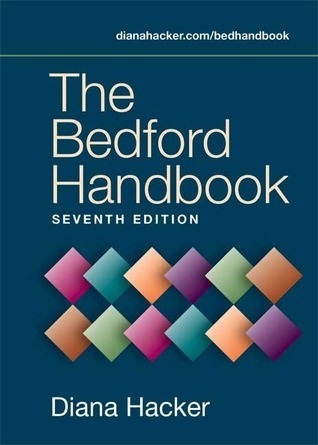 To ask other readers questions about The Bedford Handbook [with 12 Plays & Shakespeare's Merchant of Venice], please sign up. One of the standards of reference materials an author needs. when I taught English to undergraduates years ago, this was often the department's preferred handbook. it's so abysmally philistine that my syllabus assigned it simply to critique it during class.